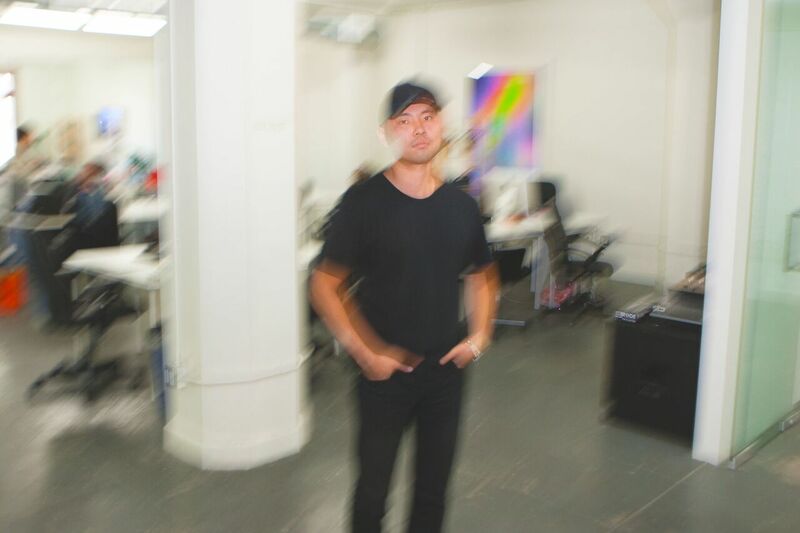 Eight years ago Jesse Lee founded the super cool creative agency, The dFm. 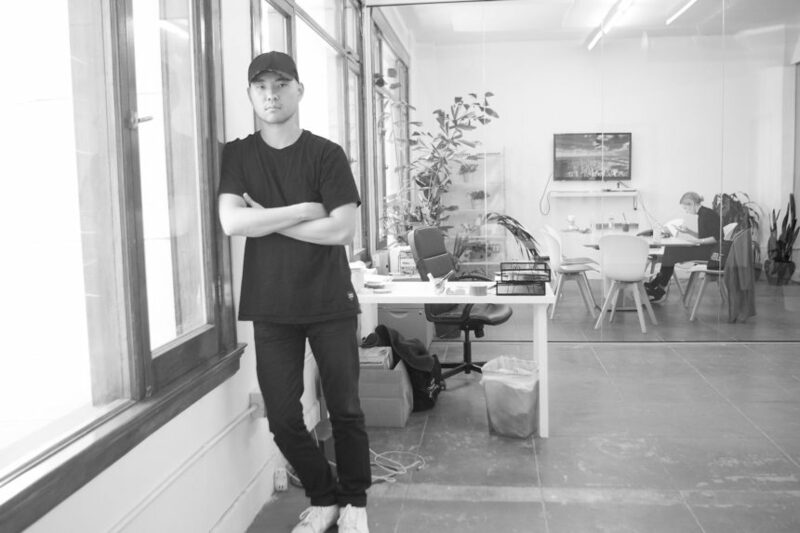 Since then, he’s led amazing events for the likes of SXSW, Coachella, Art Basel and New York Fashion week and produced wide-ranging work for clients like ASOS, Impossible Foods, Calvin Klein and Twitter among others. Last year, they opened a New York office, but it was the company’s open-plan Downtown LA space where we met up with Jesse to discuss creative inspirations, investing in people, the benefits of unconventional collaborations, and why Sunday is the only day he’ll go to the gym. Loyal is one. Grateful and optimistic. Tell me about your career so far, why did you opened The dFm? I’m originally from Chicago and I moved to LA about 12 years ago after college. I spent the first few years working for a couple of different companies, then about eight years ago I decided to start my own company. It’s something I always wanted to pursue; throughout my high school college years I DJed and threw parties and club nights and concerts and all that stuff, so I always had an entrepreneurial background/aspirations. Initially The dFm started by putting together showcase events of up-and-coming music talent, whether it’s DJs, indie bands, or rappers, the talent that was up-an-coming was the big thing. Even now eight years later, discovery is one of the key words we use internally. Whether it’s music, fashion, art, design, tech, food, culinary and all that stuff, we’ve always been at the forefront of what’s next. It’s something that all of us here appreciate and it’s one of our central ethos. From then on, we started these branded events–throwing parties at SXSW and Coachella, or Art Basel or NYFW–and then a couple of years later some of those brand partners ended up becoming our agency clients. 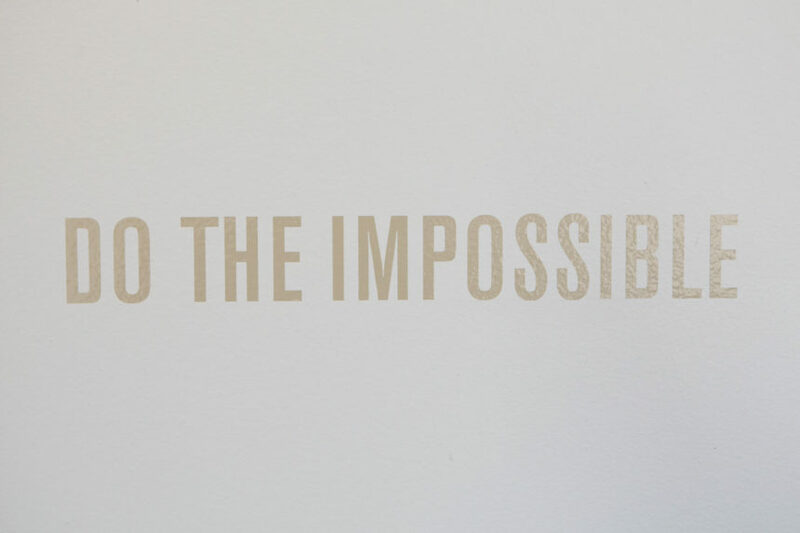 In the past five or six years, that’s when we sort of morphed into an agency. It was very natural and organic, starting with experiential then to content and social media and now we’ve added PR and comms. Every year we’ve added another layer to our capabilities. Even our client list, it’s not just cool fashion brands, which is what we started with, now there’s everything from tech start-ups to food and hospitality companies. That’s what makes it fun for us. What are some projects you’ve worked on recently that you’re really proud of? I don’t want to favour any clients so I’ll use the most recent, which is ASOS. They’re an online retailer that we’ve worked with on and off for three or four years and this year we launched a very cool initiative called ASOS Supports Talent where we help discover and nurture creatives across the globe, not just the US and Europe. The first two that we activated were in New York; we gave a photographer an opportunity to shoot and then host a pop-up gallery show in New York, which was something that she otherwise couldn’t do with her own means. That same week we produced a two day pop-up dinner with a chef who was a CDC at a well-known Italian restaurant in New York, and of course as a young chef he can’t open up his own restaurant yet. We were able to find an awesome place in the West Village, it was a great thing. ASOS get’s positive press, but more importantly they get to authentically and organically support the community that they want to be a part of. Yeah, we’re all always nurturing talent and people. Whether it’s internally with our team, or with our clients, and obviously with the influencers or talent that we discover and work with. When I first started out I had a blog called Dub Frequency, that was our small media platform where we would post stuff on music, fashion, and culture. After a couple of years, it sort of morphed into more of a hybrid agency, so we decided to come up with a name that was more neutral. The dFm is Dub Frequency Media, but we wanted to keep it a little vague so we’re not so pigeonholed. If you have a name like Dub Frequency it could mean one thing for one and another for others–we wanted this name to be palatable for all. A big part of what you do at dFm is unconventional collaborations, what does that mean to you and why is it a good thing? Discovery is an important word that I mentioned earlier, but the other thing that really interests us is the dichotomy of everything. High and low, music and fashion, food and fashion. Some of us in the team here might like indie music and counter-culture, but we like eating at nice restaurants and nice clothes too. When we work with brands [this dichotomy] comes natural to us, even if it doesn’t make sense on paper it can yield positive results. When brands approach you do they know that’s what comes with it and are they happy to go along with it? That’s a very good question. In the beginning we probably tried to be more neutral with broadcasting those kinds of things. Now that we’ve been in business for a while and have great case studies that we can show and share, we let it be known. We’re always going to be open to challenging the status quo, so if someone is looking to do a traditional media buy or more mainstream kind of stuff, that’s not us. There may be mainstream brands [we collaborate with], but they’re looking to shift their position or strategy, they want to go deeper into cooler segments and with millennials and we’re a great partner. So I have an almost two year old daughter now, her name is Isabella, but we call her Izzie. So basically every morning when I’m not travelling, she usually wakes me up, she’s my alarm clock. I’ll spend some time with her in the morning, then send some emails out, then I’ll come straight to the office. During the week I usually spend as much time as possible in the office and then on weekends I’ll do a lot of meetings with friends or talent, creatives, artists, or chefs–but during the week I reserve that for the team here. And then I try to be home for dinner or at a relatively decent time. A couple of years ago I would have worked later, but now I try to come in earlier so I can be home before we have to put Izzie to sleep. What sights, sounds, places or spaces inspire you creatively? Travel is a great way to be inspired. I also love reading magazines and books and find it really fascinating to read and absorb information and inspiration. I’ve also become a podcast junkie! I listen to all type of podcasts from sports, to news, fiction, and murder mystery–crime podcasts are like the new form of Dateline. And obviously working with creative and talented people, regardless of where they’re from or what their pursuit is, that’s another inspirational factor. I try to go to the gym on Sunday. That’s like the only day that I’ll go. That way it kind of resets the week and puts the week ahead into a fresher perspective. I also talk to my parents pretty often on the phone. They’re in Chicago so when I’m driving into work, it’s a 20-30 minute commute, so besides podcasts I will call my parents. Staying in touch with family is a good way of keeping things in perspective. Calling people when you’re stuck in traffic is a good LA hack. What are some other things you like to do in LA? I don’t want to disappoint people, but I actually don’t do a lot in LA. Prior to us having a daughter I never went to the beach. Knowing we can go to one is enough for me. I think what’s best about LA is the that the food scene has gotten really good these past few years. Any type of food you want, you can get in LA. And culturally I think LA has gotten stronger. I mean I’m bias, but I think LA is the most vibrant happening city in the US. I love New York and San Francisco and Chicago and certain other cities for certain things, but LA has a lot of good things happening. Continuing the mantra of investing in people, taking things one step at a time, and making sure we continue to grow each year as we take on new and interesting projects–then I’ll be happy.